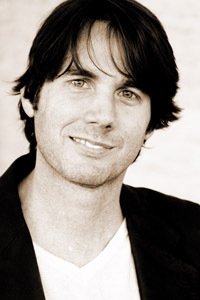 David Caudle is best known for his play The Sunken Living Room (Samuel French, 2008), winner of the 2008 Ambie Award for Best Original Play (New Orleans), finalist for Lark Play Development Center’s Playwrights’ Week 2004, and Gold Medal Finalist for the Pinter Review Prize for Drama 2004. His other produced plays include Likeness, Visiting Hours, In Development, The Common Swallow,and Damsel. His play Feet of Clay, winner of the 2004 Samuel French One–Act Festival,was developed into a short film directed by Carrie Preston. Caudle has been both a Walter E. Dakin Fellow and a Tennessee Williams Scholar at the Sewanee Writers’ Conference.